Mention Greek philosophy and one thinks of Plato and Aristotle but what about Proclus? 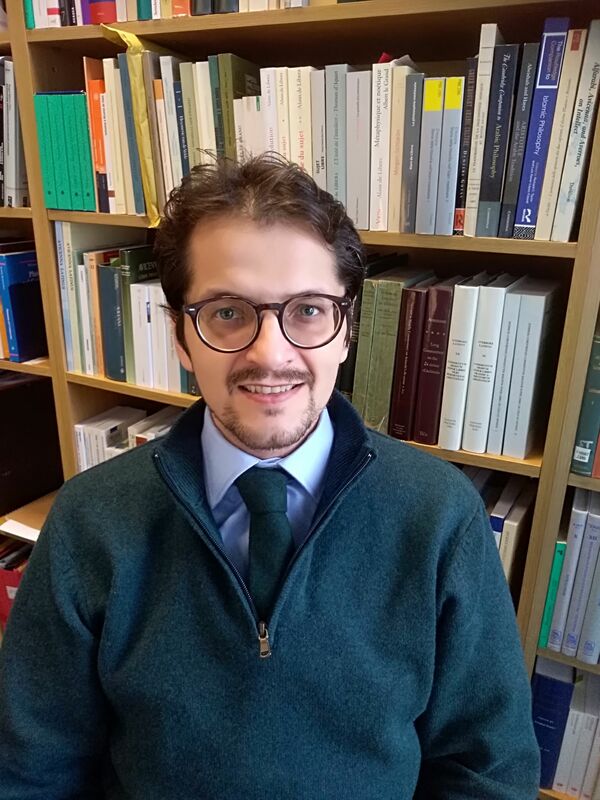 Newly-appointed Associate Professor at UCD School of Philosophy Dragos Calma hopes to make this 5th century thinker if not a household name then at least better appreciated by the modern academy. Proclus (412-485) was the victim of one of philosophy’s great misattributions – his work was passed off for several centuries as belonging to Aristotle. This creative mix-up is part of an intriguing story surrounding one of the last great custodians of ‘the School of Athens’. It’s a story of how a pagan text, reworked by Muslims, ended up being used in the Catholic Church to explain Christian doctrine. Throw in forgery, impersonation and religious persecution and you have the ingredients of a Dan Brown novel. However, Associate Professor Calma is not interested in fiction. He wants to uncover the truth behind a neglected chapter of medieval history which, he believes, can help us to address the so-called ‘clash of civilisations’. Associate Professor Calma’s arrival in Belfield is fitting, given UCD’s strong tradition in teaching Greek philosophy. The late Fr Fergal O’Connor introduced thousands of undergrads to Plato’s Cave, and the Neoplatonist Proclus saw himself as carrying the flame of Socrates’ most famous disciple. In other respects, his appointment is a novel one. He brings with him the sort of EU research budget for a humanities project that would send a Brexiteer into apoplexy: a €1,992,643 European Research Council consolidator grant to develop Neoplatonism and Abrahamic Traditions (NeoplAT) over a five-year period. The project also has an inter-disciplinary flavour – incorporating scriptural interpretation and translation – that departs from ‘pure philosophy’. Proclus was no academic slouch himself. On an average day, he’d write ten pages and deliver four lectures, Associate Professor Calma says admiringly. His seminal work was Elements of Theology, which contains the Neoplatonic theory that there are different layers of reality – like turtles stacked on top of one another. Critically, Proclus shuns the idea of infinite regress – colloquially, ‘turtles all the way down’ and instead posits an ultimate reality called ‘The One’ upon which everything rests. Associate Professor Dragos Calma was in conversation with Joe Humphreys (BA Politics and Economics, 1992; MA Political Theory, 1994), an assistant news editor with The Irish Times for which he produces the weekly ‘Unthinkable’ philosophy column.